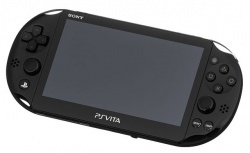 The PlayStation Vita is a handheld created by Sony that was released on December 17th, 2011. Scarlet - Scarlet is an image convert tool that can convert multiple image formats, including the PlayStation Vita's .gxt format. Vita3K - Currently, Vita3K is the only PlayStation Vita emulator that is in development. As of right now it only boots a couple of games. This page was last edited on 14 June 2018, at 20:43.